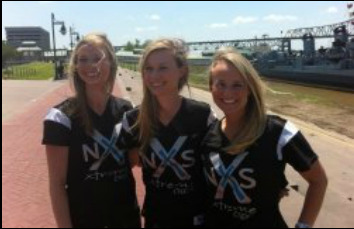 NXS is a family owned and operated gym which provides training in cheerleading, gymnastics, tumbling, baseball, softball, and basketball, and a multi-sport indoor training area available for rental. WE BELIEVE IN THE VALUE OF YOUNG PEOPLE, and the entire staff strives to lead young athletes as they develop and improve in their sport while also building character. Within three years of moving into the Alabaster building, we were maxed to capacity at approximately 225 student athletes. We needed a very large commercial space in a good location. We began to pray that God would provide a place to meet these needs, and did He ever! In October of 2011 we moved into our current facility in Calera. Since then, we have nearly doubled our cheerleading, gymnastics, and tumbling facility, and we have added a 10,000 square ft. multi-sport facility (NXS Dugout) which focuses on baseball and softball training.